Suffering from an unbearably slow notebook? Need a RAM upgrade? Offtek has the know-how and hardware options to get your laptop running at peak speeds in no time. Installing one of our Toshiba laptop memory upgrades into your machine will not only make it work faster, but will allow you to run multiple programs without any annoying lag-time. Not having enough laptop RAM is a common problem suffered by many, but it is also easy to rectify. Let us help you inject life back into your notebook with the perfect ram memory upgrade. 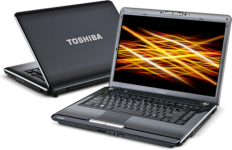 We have the expertise to make sure you get the right upgrade option for your Toshiba laptop.